I kept getting the feeling I'd read this before, but I couldn’t quite remember it. Three main characters come together to retrieve the stone that holds the magic of the volcano in check and prevents it from rising and destroying the city. Princess Chandra, a wizard of the nine, who is trying to avoid an arranged marriage to Prince Darvish of Ischia, a dissolute younger son with an alcohol problem. Into this situation falls Aaron, former can chief's son turned runaway and thief. 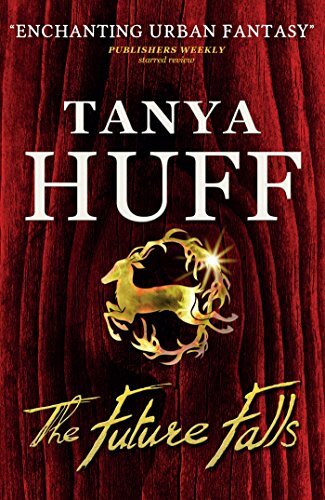 The fun of this book is the changing relationship between these three protagonists and their eventual resolution. (And the recovery of the stone, of course, despite pirates, storms and traitors.) A fun book. Recommended. This is the third book about the Gale Women. (I still think the first, Enchantment Emporium is my favourite.) Charlie, talented Gale woman, musician, and cousin to Allie who runs the Enchantment Emporium, is on her way to becoming a Wild Power. Not quite what the gale Aunties would have wished, but there's not much they can do about it. Unfortunately Charlie is drawn towards Jack, a Gale boy and also a Dragon Prince and sorceror, but their age difference is too great for the Aunties to sanction any kind of romantic relationship. That doesn't stop Charlie and Jack pining for each other, while keeping up a platonic relationship. However when an asteroid is discovered, racing for earth, the Gale Aunties decide they can't do anything about it, except try to save their own. Charlie wants to save the world. According to NASA she has 21 months. There's a fair amount of Charlie/Jack angst, and for a while it seems like the ending is going to be BAM! SPLAT! But Charlie is resourceful and Jack has hidden depths. This is a follow up book to White Silence, featuring Elizabeth Cage, who sees people's moods/auras in swirling colours, and Jones, spy and possibly killer, whom she is drawn to, but does not trust. 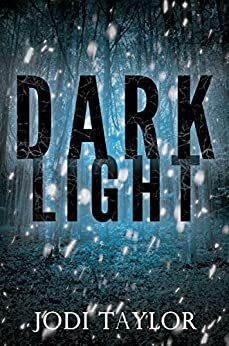 On the run from Sorenson (who imprisoned her in a psychiatric facility in the last book and who wants to exploit her talents) Elizabeth has fled her home in Rushford with a little money, but nowhere and no one to run to. 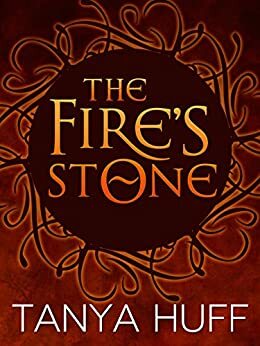 She ends up in Greyston, a picturesque village in the middle of nowhere, and feels as though she might be able to stop and rest for a few days, but Greyston is no ordinary village, and the women there have a strange relationship with three ancient standing stones. Maiden Mother and Crone. Elizabeth is drawn into the intrigue and suddenly can't get out again. An innocent young man is about to die horribly unless she can do something about it. Jones to the rescue... or is he? What's his hidden agenda? Jones and Elizabeth do care for each other, but they never show it except in ascerbic dialogue and witty banter. Ms Taylor is very good at dialogue which says more than it seems to on the surface. This is fast paced and engaging and there's a fair bit of rescuing going on (not always in the same direction). Elizabeth's psychic talents seem to be increasing. From lacking in confidence altogether, she's growing as a person. I'm pretty sure there's enough here for at least one more book, if not more, which is excellent. Jodi Taylor is a buy-on-sight author for me, whether it's her Chronicles of St Mary's, The Nothing Girl, or these Elizabeth Cage books. Highly recommended. To be honest I didn't think much to this. It was all very sweet, but a bit slow and nondescript. 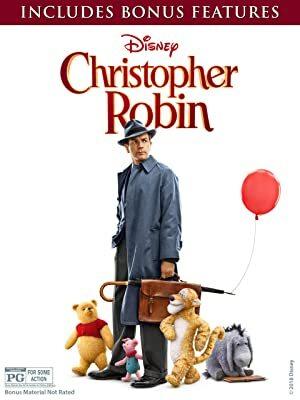 Ewan McGregor is always good value and as the harassed salesman trying to keep his job to the exclusioon of wife and family, he made a decent job of it. It takes Winnie the Pooh to knock some sense into him. It's all really an excuse to revisit favourite characters from childhood. To be honest the summer films this year have been a bit rubbish. This was one of the ones we tried, but I'm glad we didn't pay full price. This is why my movie of the week posts have slowed right down. 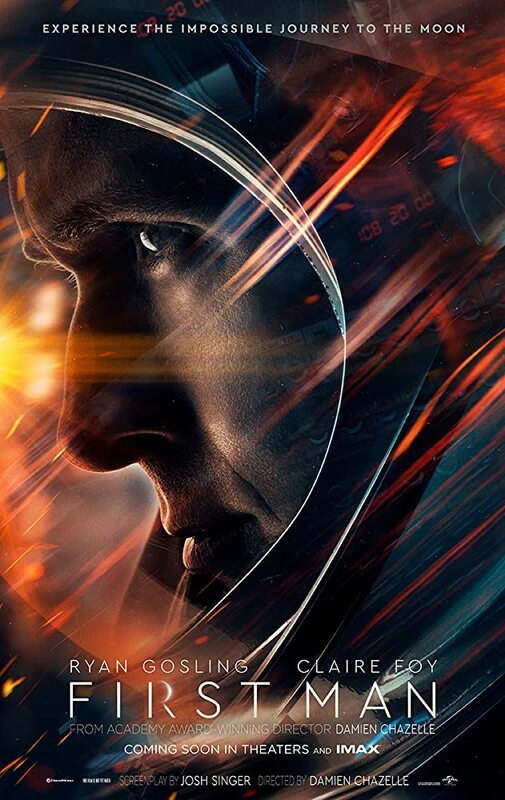 Ryan Gosling has turned in a tightly controlled, measured performance as Neil Armstrong in what amounts to a biopic recounting his journey to become the first man to walk on the moon. Armstrong was, by all accounts, a man who didn't wear his emotions on his face and Gosling manages to convince as he journeys from commercial test pilot to astronaut. It's fascinating with information about the moonshots as well as Armstrong's private life. Recommended.